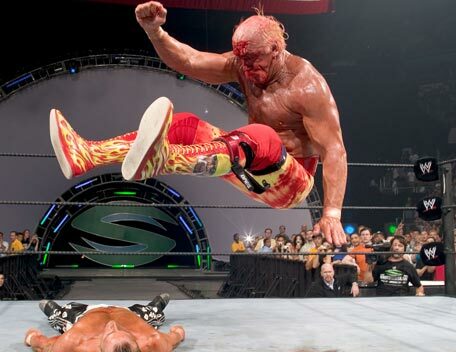 After a decades long battle with his stardom and collective goodwill, Terry Bollea, aka Hulk Hogan, finally defeated his celebrity this morning with a big boot to the face and several leg drops. Hogan reportedly “Hulked up” this morning after a controversial video surfaced in the media, shaking his fists and puffing his cheeks as he drew strength from deep within himself. Hogan whipped his remaining goodwill into the ropes and delivered his patented Big Boot maneuver to the face of his opponent. Putting a hand to his ear, Hogan bounced off the ropes and leaped high into the air, crashing down on what little of his celebrity remained. Hogan pinned it for the 1, 2, 3 and the victory. Hogan celebrated with the remaining white members of the audience. WWE broke all ties with Hogan after the match.